What is ‘Rare’ about this Dachshund being advertised? This week we’ve had a crazy amount of people online talking about the advertising of Rare Dachshund colourings. Generally if the dog is being advertised as a ‘rare’ colour it may mean a lot more about it’s health and you are likely being ‘ripped off’. Blue Dachshunds are not registered or recognised is this country. However there have been a lot of imports over 2017. Generally speaking if a dachshund is being advertised as rare and you can visibly see it is blue/grey in colour it has probably come from a terrible life of puppy farming and has been illegally imported. These blues appear beautiful, but at a later stage in their development they are likely to have terrible skin issues including reactions to food and sunlight as severe as boils on the body. Please contact us if you see a advert for a blue Dachshund we may be able to look further into it’s situation and even advise you on the health issues we believe will arise. That way you can be fully prepared before your purchase. Here is a link to the breed council PDF on coats and colours! Another colouring that is being advertised as ‘Rare’ is the double dapple. Generally a DD won’t be advertised as Double dapple and instead as a dapple. The way you can tell them apart is that a Double Dapple is likely to have very large patches of white on their colouring. 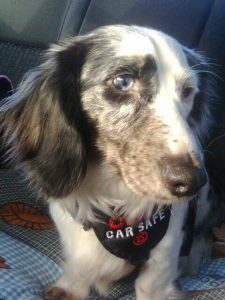 Double Dapples come with more health issues than we can list, but the most important is they generally speaking will lose their sight and hearing at a very early age. Again you are welcome to contact us for advice if you come across a advert and are unsure on the dog. 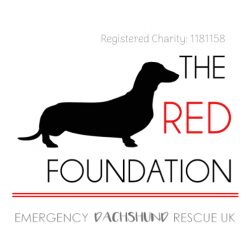 Next Next post: Emergency Dachshund Rescue UK?